I want to send out a special note to the IPA family inviting you all to submit images to the first IPA Quarterly gallery exhibition. This inaugural exhibit is powered by ProCamera and will be on display at the Santa Monica Art Studios October 1-31. Submission deadline is August 31, and entries can be submitted with the latest version of ProCamera. For the IPA Quarterly exhibition series there is no set format or venue so we are able to change it up and keep it fresh each time. This one has an open call and an independent judge. Others won’t. I’m looking forward to working with artists we admire here at IPA and continually showcasing high quality work in brick and mortar galleries throughout the year. In regards to judges and juries, my goal is to broaden the circle a little more and start reaching out to more “celebrity” photographers, artists, and innovators. I’m personally excited about getting Mark Pellington involved for this first one. 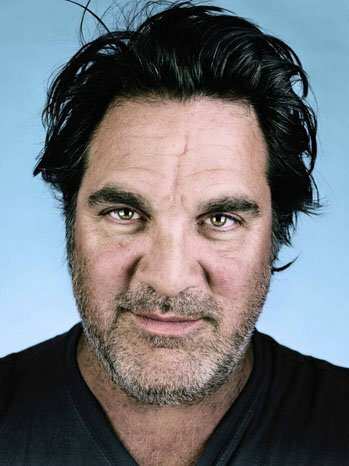 For those who don’t know, Mark Pellington is a world renowned, award-winning filmmaker. He is a true visionary in virtually every aspect of filmed entertainment– feature films, television, documentaries and music videos. In my professional career I’ve had the opportunity to work with Mark on several of his projects including music videos for The Fray and Michael Jackson, feature films Henry Poole is Here and I Melt With You, and several promos for the NFL Network. I recently introduced Mark to IPA and he is amazed by the multitude of creative talent here, and is excited to be part of it. Please take a moment and submit your images if you would like. There is no fee for this first exhibition, and all submissions are being done through the latest update of ProCamera. If you don’t already own ProCamera, and the $4.99 price point is out of your budget, you can submit your images using a friend’s version. You can also email me, or drop a note on my canvas, and I’ll ask for a free promo code for you, if any are available. The Terms, Conditions and FAQ can be found at IPA website. I have shared this on the Call For Entries Group on Facebook for mobile photographers. Also shared in the AMPt Community Facebook group – there are nearly 1,200 members there. I will make a blog post on AMPt Community later on – there are over 3000 members there. sweet, thank you for sharing, Michelle.